Mojang, for some reason, decided not to conduct the popular Minecon event last year, which is a fan favorite expo, where all Minecraft lovers come together. But, the good news is it is coming this year and it’s time for the Minecraft PS4 and Xbox One lovers to rejoice! The company didn’t spend any time in explaining why the event didn’t take place in 2014. And, it is obvious that players and the community are not really interested in knowing the real reasons behind an expo that missed a whole year. It’s all about this year and whether Minecon 2015 is going to take place or not. Mojang confirmed the news in their official blog that they are indeed gearing up to host this grand event this time, where a lot of exciting things will take place, including new announcements, updates and some great time with the development team at 4J studios. It’s really surprising to know that the upcoming Minecon 2015 event by Mojang is taking place this year after the huge two billion dollar acquisition by Microsoft. Many critics assumed that the new buyers may not host the expo, because they are keen on making some good money out of the franchise rather than spending more on it. But, from the announcement, it has been confirmed that the company wants to make sure they promote the game as much as possible, so that it continues to entertain gamers and keep the community alive. Minecon is one such event where everyone, including Minecraft PS4, Xbox One, Minecraft PS3 and Xbox 360 players come together to share their experience. It also includes the iOS, Android and PS Vita mobile platform gamers. 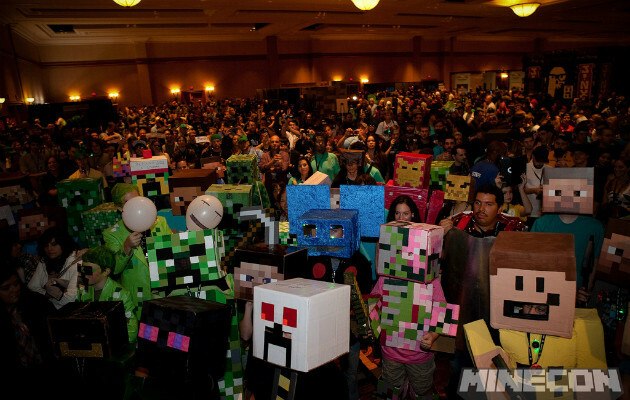 The upcoming Minecon 2015 will be held in London, UK. It’s an amazing place to visit, while you are getting your share of Minecraft. The event dates have also been confirmed as well. It will be held between July 4th and 5th. That’s just two days but it’s more than enough to make you happy about being there. The tickets will go on sale from February and Mojang confirms that at least 10,000 tickets will be sold for the upcoming event. There will be huge discounts on hotel rooms but there is no word on the founder of the game attending the planned expo. You will get a chance to talk to the panel and drop in your own ideas.